It’s no surprise that Omaha is bursting with fun and one-of-a-kind romantic things to do all year long (they do call us the “Heartland” after all). But even with an abundance of restaurants to try and shops to visit, it can be hard to decide where to take your beloved on your next date. We rounded up all of our favorite romantic things to do in the Omaha area. Peruse our list of ideas to enhance your next adventure with your significant other! 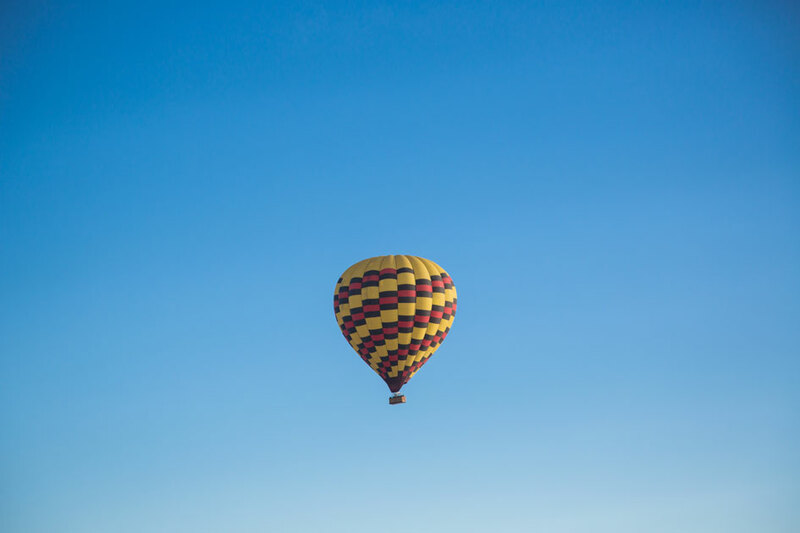 You’ll find everything from romantic strolls to hot air balloon rides, so whether you’re on a first date or spending an evening with your sweetheart of over a decade, we’ve got the perfect romantic experience just for you. Is there anything more romantic than chocolate? 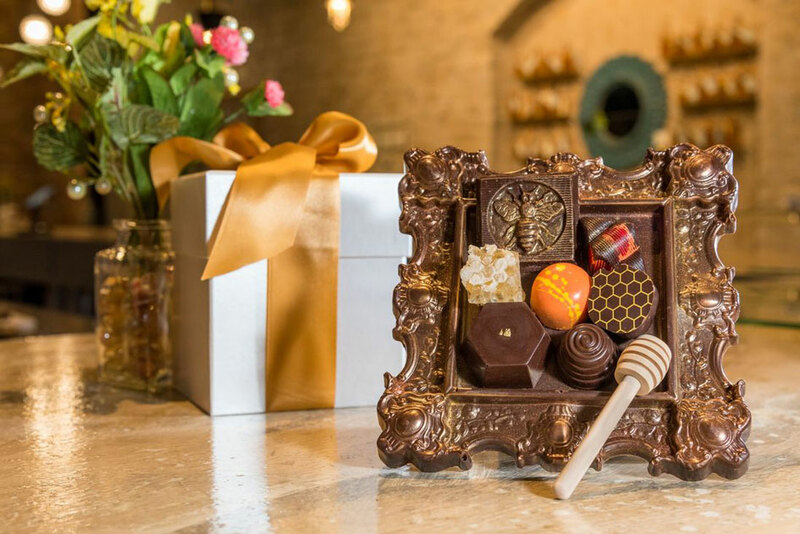 At Chocolat Abeille, you can purchase mouth-watering artisan chocolates along with local honey. You can even visit their tea and tasting room where you can enjoy Harney & Sons “Paris” tea along with some finger sandwiches, scones, mini desserts and of course, chocolate! Check out their calendar to make a reservation for afternoon chocolate tasting experience. Afterward, don’t miss out on the chance to take a romantic twilight stroll through Old Market. Is there anything more relaxing than a spa day? Visit Downtown Omaha Massage to get a couples massage while all your troubles melt away. Afterward, you and your partner can delight in some tea and organic chocolate. You can even try their “Two Relaxing” treatment, where you can enjoy the sauna together, receive your choice of body wrap, and a massage of your choice — the possibilities are endless! 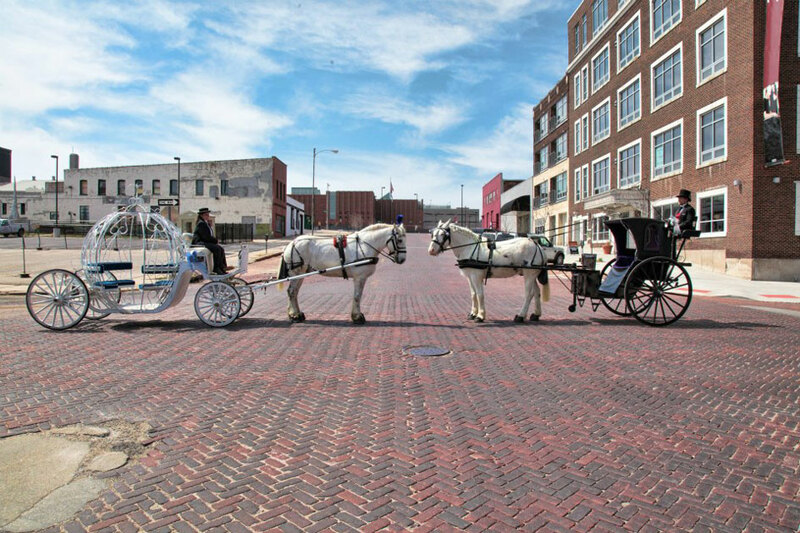 While Old Market is magical from any vantage point, experiencing it from the comfort of a horse-drawn carriage adds a level of grandeur and romance that you don’t want to miss out on. Magical Journeys Carriage Service offers carriage rides year round (weather permitting). The horses themselves are friendly and well-loved, which you’ll notice when you peruse the photos of their happy cavalry on their website. Dinner and a movie is the classic date night experience. You can’t go wrong with a bucket of salty, buttered popcorn and a dimly lit room. But why not change it up a little and support a nonprofit while you’re at it? The Dundee Theater in Omaha is our town’s longest surviving neighborhood cinema and while they only have two screens, you can still go see some of the most popular movies out today along with some smaller, independent films. Plus, every ticket sold goes to support Film Streams — a small nonprofit that helps enhance the cultural environment in Omaha. A couple who cooks together stays together! One of Omaha’s favorite restaurants, The Grey Plume, offers couples cooking classes throughout the month. 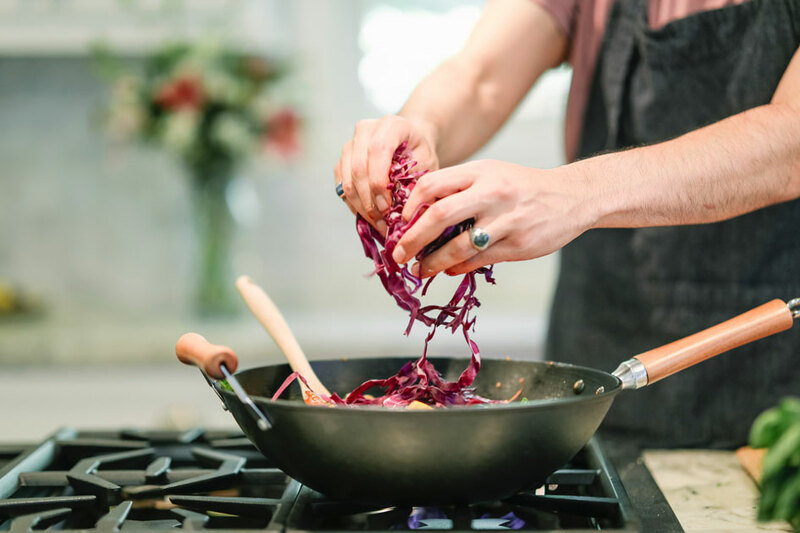 With courses such as “Couples Cast-Iron Cookery Class” or “Couples Perfect Pasta Class”, you’ll be cooking like a gourmet chef in no time. Afterward, surprise your partner and enjoy an incredible one-of-a-kind meal without even leaving the building. If you want to impress your true love with a stunning view, or just want to reenact a scene from A Walk to Remember, definitely take them to Bob Kerrey Pedestrian Bridge. This gorgeous metal structure connects Nebraska and Iowa and allows you to be in two states at once! 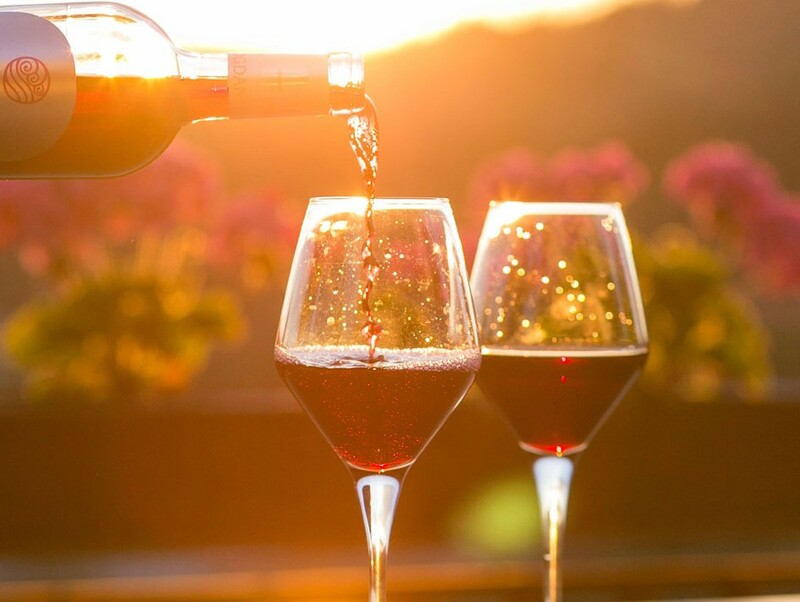 At the Twisted Vine wine bar in downtown Papillion, you can choose from a selection of 16 craft beers on tap or over 100 bottles of international and domestic wines. Curl up in a comfy chair inside or on their backyard patio with fire pits, all while having deep, intimate conversations with your partner. Make sure to check out their calendar to see if they’ll be hosting live music or food trucks when you go! When you think of romance, arts and crafts usually isn’t the first thing that comes to mind. However, after you’ve visited the Corky Canvas you may start singing a different tune (preferably Crazy in Love from Beyonce, if you ask us). Paint a masterpiece using step-by-step instructions from a local artist, with a paintbrush in one hand and a glass of wine in the other. You and your beloved will have a blast painting together and afterward, you both will have a memento to take home and treasure! 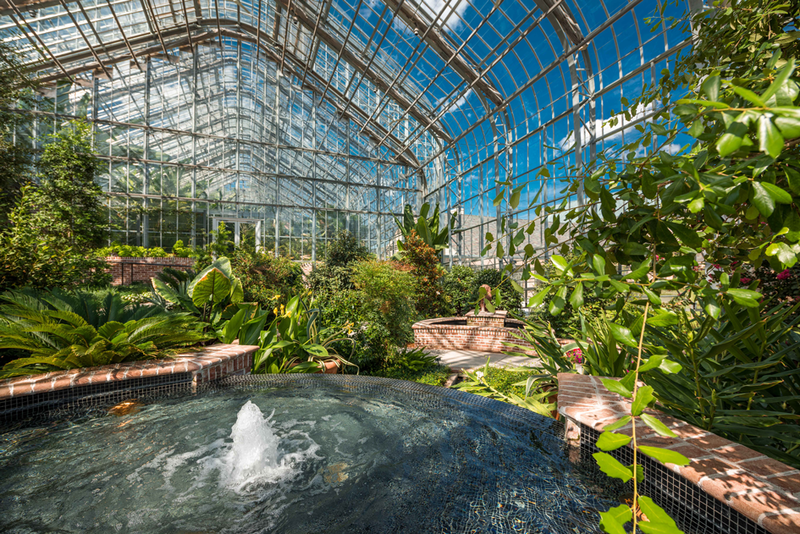 Lauritzen Gardens is one of the most romantic spots in Omaha. There, you can hold hands with your sweetheart while strolling through beautiful plants and nature. If you visit between the months of May and September, the gardens are open until 8 p.m., giving you the chance to take a romantic walk during twilight. See Omaha in a whole new way — from the water! We couldn’t make a list of the most romantic things to do in Omaha without mentioning Heartland Gondolas. There, you can rent a private boat and take a quiet, romantic tour through the water with your sweetheart. While they are only open May through September, we promise it’s worth the wait. If you’re looking for a one-of-a-kind romantic experience to share with your partner, look no further! You can take a hot air balloon ride and see Omaha in a whole new way. Euphoria Balloons offers private rides with Nebraska’s most experienced hot air balloon pilot. You can make a reservation for sunrise or two hours before sunset for any day, year round. The journey will take you and your sweetheart over the Platte or the Elkhorn River valley and allow you to experience unbelievable sights. What is your favorite romantic thing to do in Omaha? Let us know in the comments!